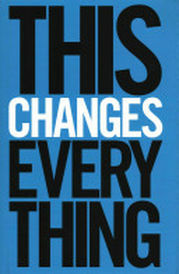 Have you read Naomi Klein’s “This Changes Everything” or seen her recent article on why #blacklivesmatter? But what are we actually talking about? 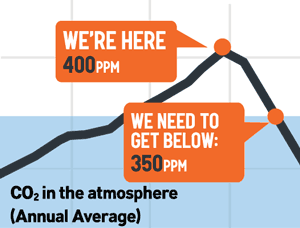 Once we get past the boring math-based logic about carbon budgets and 2 degrees of warming — and really understand their gravity — how do we combat the anxiety and apathy that result from the overwhelming enormity of it? How can we take the “lemons” of this unprecedented problem of global climate disruption to finally “make lemonade” –not just for a few rich white families, but for all 7.125 billion of us? We must intentionally address not just scientific reality, but the deep-seated systemic injustices and glaring racial inequities that our current system quietly endorses, and begin to draft an inclusive and sustainable vision for a world that we ALL want to live in. Social justice, achieved in part by public investments in transportation, healthcare, education, local food and decentralized energy, will be best achieved in a “post-fossilized democracy” — one that puts people way ahead of profit and the preservation of our planet before the hyper-consumptive habits of a minority of people who have more than their fair share of resources at their “disposal”. This movement requires not only a cultural shift that breaks down the barriers of what was possible under the status quo of yesteryear, but re-imagines the world we want to live in today, and the even better one that we wish for our grandchildren. This starts by telling new stories, sharing our collective struggles, and forging deeper relationships within our communities. Ultimately, what I hope would result is a new society that is based on a regenerative economy instead of a consumptive one. This new society would acknowledge the shortcomings of laissez-faire economics and end the perpetuation of perverse incentives that concentrate wealth, generate waste, and promote the global manifestation of toxic corporate zombie-capitalism. A new society would facilitate an economy that mandates a closed-loop business model — where the inputs and outputs of production flow in circular loops instead of one-way garbage piles. Our current system is not based on maximization of Life. It’s based on the maximization of profit. Our values do not align with our dominant system. And although mega corporations do have a lot of money, We have morality on our side. And as Naomi Klein points out, we have precedence: “the intrinsic value of life is at the heart of all major progressive victories, from universal suffrage to universal healthcare”. Let’s integrate our environmental movement with broader social and economic struggles—because we will not win, unless we all win. It’s time for us to get organized. Posted on January 1, 2015 March 22, 2018 by 350philadelphiaPosted in divestment, just transition, social justiceTagged naomi klein, this changes everything.